Does Private Internet Access Work With Hulu? The VPN Lab - VPN Guides - Hulu Guides - Does Private Internet Access Work With Hulu? Private Internet Access is a commonly praised VPN service that has quite a lot to offer. It boasts a wide server network with 3,000+ servers in over 30 countries, it keeps no logs, it offers great security, it is P2P-friendly, and it allows as many as 5 simultaneous connections, all at rather affordable prices. However, when it comes to unblocking geo-restricted streaming services, it is generally sort of a hit-and-miss situation with Private Internet Access. 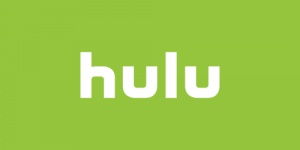 In this article, we report on our attempts to stream Hulu content using this popular VPN service. Being completely honest, we have to say that Private Internet Access is not our first choice for streaming Hulu outside the US and Japan. The problem is that it is not a reliable solution, as you are never sure what to expect. During our tests, our initial attempt to stream Hulu with Private Internet Access was not successful. After clearing cache, restarting, and switching between about a dozen US servers, we were finally able to access Hulu and stream without any major glitches. However, we ran another test 2 days later and we were unable to unblock Hulu using the same server that worked before. This is the reason why Private Internet Access is described as both the best and the worst VPN for Hulu by various VPN authorities across the web. Those who refer to it as one of the best solutions are probably well aware that most VPNs do not work with Hulu, so they are willing to overlook the obvious issues. Those who describe it as the worst may be too harsh, but they probably do not want to recommend a VPN that does not allow you to stream Hulu effortlessly. From our standpoint, unblocking Hulu with some effort invested is better than no Hulu at all. On top of that, there are numerous users that report having no major issues streaming Hulu content with this VPN service. Thus, Private Internet Access is worth trying out – and if you are not satisfied, you can always get a refund with its 7-day money-back guarantee.